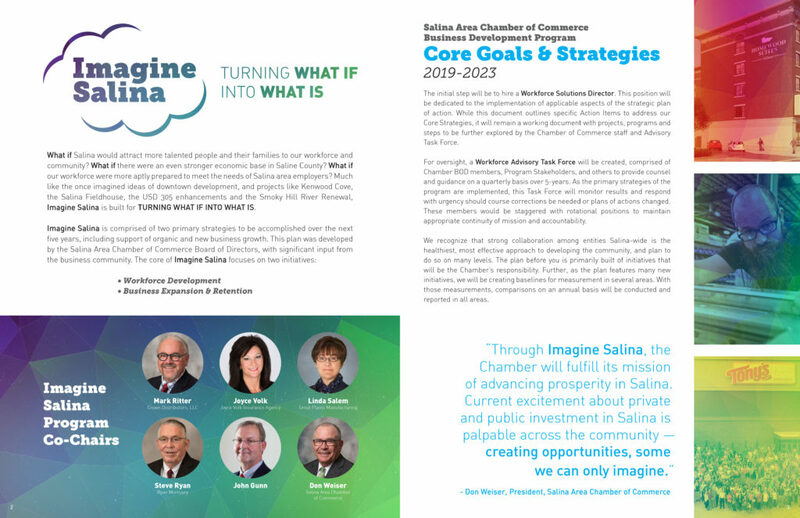 I had the privilege to work alongside the Salina Area Chamber of Commerce to create a theme design and marketing plan for their regional workforce recruitment campaign – “Imagine Salina: Turning What If into What Is.” They have a solid plan to build up and retain an even stronger local workforce and recruit more amazing & talented people to Salina. 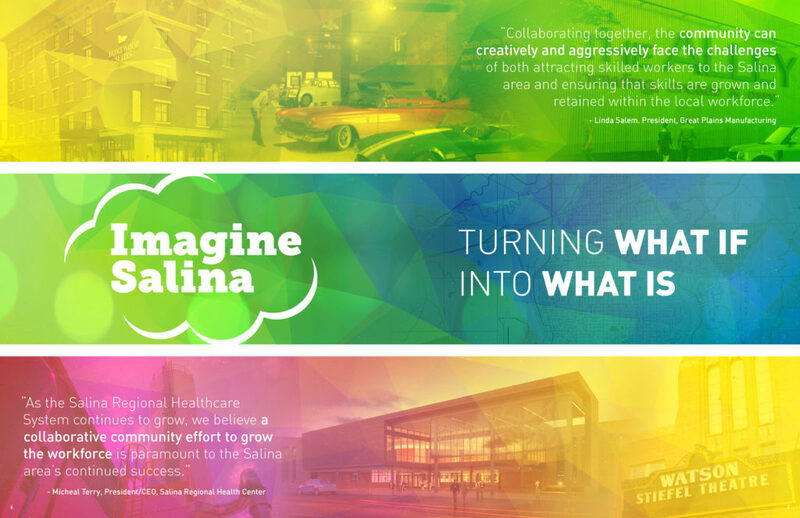 I am proud to work with the Chamber and the creative minds on the Imagine Salina Marketing Committee. 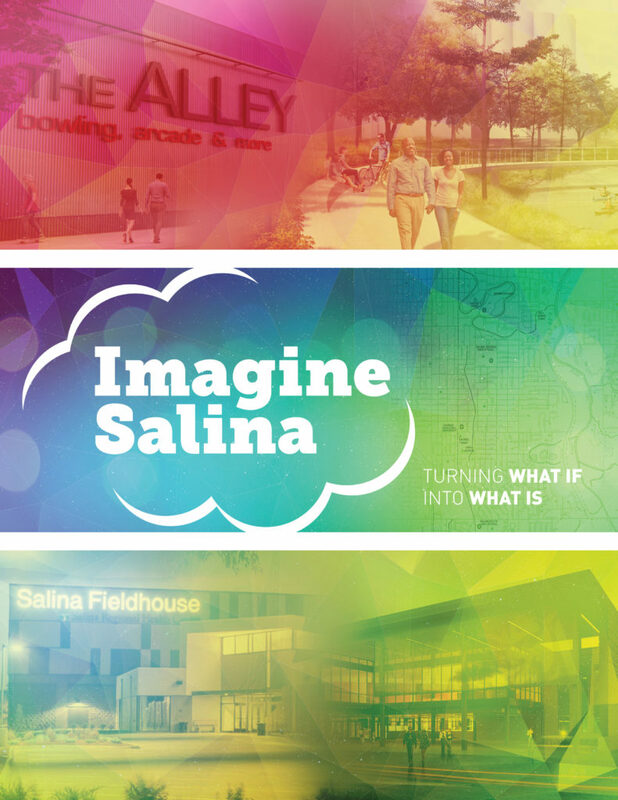 I love the fact that Salina is growing and I am so happy to be a part of sharing the story of this great city! There is so much development and expansion happening right now… just imagine the possibilities! 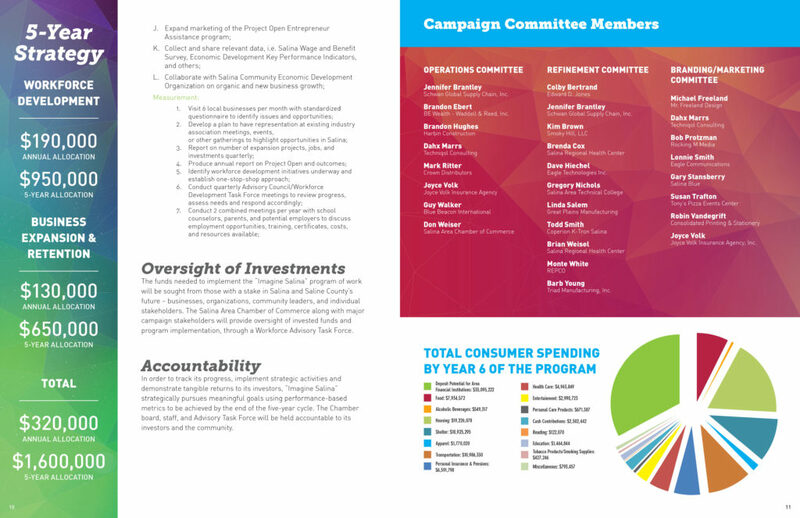 For more on the full Chamber plan, visit www.ImagineSalina.com.